Ramses Station was first built in 1856 but was reconstructed in 1892 to the more traditional Arabic style of architecture. 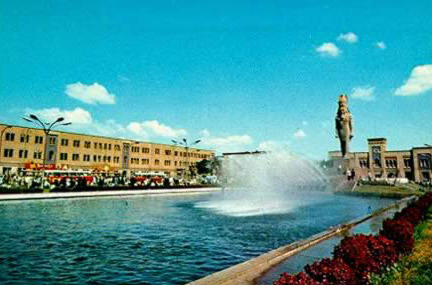 In 1955 the facade was refurbished in the same style and a statue of Ramesses II was placed in the esplanade. The statue of Ramesses II replaced a famous statue by Mahmud Mukhtar that depicted the "Awakening of Egypt", which had been placed there in 1928. The station is the main railway station for Cairo.